The Recipe: Acorn squash stuffed with protein-rich nutty-tasting quinoa [pronounced KEEN-wah], slightly sweet with dried cherries or cranberries, maple syrup and fall spices. A great choice for Meatless Monday during the fall. Not just vegan, Vegan Done Real. The Conversation: What, exactly, is "tepid water"? And what in heavens does it have in common with quinoa?! Late on a Friday, shoppers trolled the aisles in a nearby grocery whose shelves are lined with hard-to-find international ingredients as coveted by gourmet cooks as appreciated by immigrants longing for familiar tastes of home. Is quinoa as unfamiliar to you as tepid water was to the puzzled shopper? Change that with this week’s squash. It’s stuffed with the nutty-flavored, high-protein, quick-cooking grain that’s pronounced, carefully now, KEEN-wah. As for that tepid water, what is tepid water, you ask? Here's the thing. Tepid water is plain warm water, straight from the tap. Really, that's it! Bread recipes often specify water temperature, to promote yeast growth. ALANNA's TIPS Keep your eyes peeled for small acorn squash the size of oranges not grapefruit. Larger squash will need more quinoa stuffing, it's way too easy to load up on calories with a calorie-dense food like quinoa. Do cover the quinoa while it cooks, otherwise it won't puff up. And do consider cooking some extra quinoa, it's great to have on hand to add a little protein to salads during the week. If your family doesn't like the sweetness of cinnamon in savory dishes, it can be omitted. I'm tempted to use a 1/4 teaspoon cinnamon and 3/4 teaspoon cumin. A whole teaspoon of spice for so little quinoa seems "off" but bland quinoa is quite bland. Kitchen Parade is written by second-generation food columnist Alanna Kellogg and features fresh, seasonal dishes for every-day healthful eating and occasional indulgences. Quick Suppers are Kitchen Parade favorites and feature recipes easy on the budget, the clock, the waistline and the dishwasher. Do you have a favorite Meatless Monday recipe that other Kitchen Parade readers might like? Just send me a quick e-mail via recipes@kitchen-parade.com. How to print a Kitchen Parade recipe. Never miss a recipe! If you like this recipe, sign up for a free e-mail subscription. If you like Kitchen Parade, you're sure to like my food blog about vegetable recipes, too, A Veggie Venture. Follow Kitchen Parade on Facebook! GIVE THE ACORN SQUASH A HEAD START Heat oven to 400F/200C. Cut squash in half lengthwise, that's "pole to pole" or "stem to stern" and definitely not cross-wise. (Why? To avoid the wobbly stem and tip, also to make two almost-equal halves!) Use a grapefruit spoon to scoop out the seeds and "gunk," toss these in the compost bowl or wash the seeds to make Spicy Sweet Pumpkin Seeds. 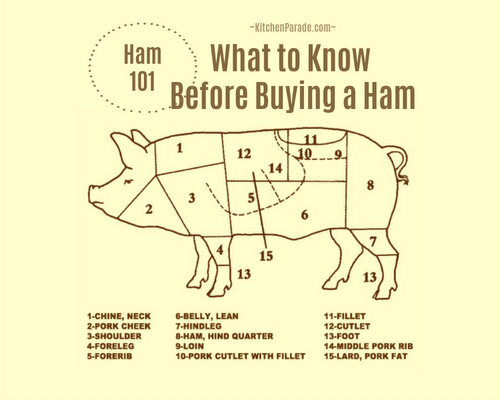 With your hands, rub the skins and the cut edges with oil. Place squash face-down on a baking dish, preferably one with sides as high as the squash halves, and bake for 30 minutes. COOK QUINOA Meanwhile, bring the water and salt to a boil in a medium saucepan. Add the quinoa, cover and return to a simmer. Stirring occasionally, cook until the quinoa puffs up and becomes tender, about 15 – 20 minutes, the liquid should cook away at about the same time, if not, add more hot water as needed. MIX & MOUND THE STUFFING Once the quinoa is cooked, stir in the fruit, nuts, maple syrup, butter and cinnamon. Mound the quinoa mixture in the four squash halves. FINISH BAKING Cover with foil and bake for another 15 minutes. MAKE-AHEAD TIPS If you like, bake the squash early in the day, then reheat in a 350F/180C oven for about 30 minutes. So convenient! NUTRITION INFORMATION Per Half: 283 Calories; 9g Tot Fat; 3g Sat Fat; 7mg Cholesterol; 318mg Sodium; 47g Carb; 6g Fiber; 7g Sugar; 6g Protein. 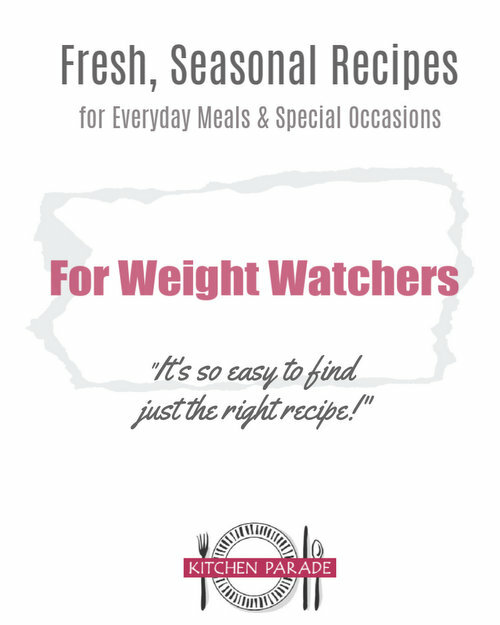 WEIGHT WATCHERS POINTS WW Old Points 6 & WW Points Plus 8. Three details here, things I noticed or learned "too late", oops. CUTTING THE SQUASH Do cut the acorn squash lengthwise, through (or just beside) the stem. That avoids the awkward tippy squash you see in this old photo. It also makes for two nearly-equal servings. WHITE QUINOA The white quinoa makes a much prettier stuffing, it really shows off the cherries and nuts! Taste-wise, there's no difference though so if you have another quinoa on hand, sure, use it. I know many cooks like Trader Joe's tri-color quinoa, a mix of red, black and what Trader Joe's calls "golden" quinoa. TIMING Ha! Who knew? Acorn squash really do taste better in the fall versus later in the year. Even more importantly? Most supermarket acorn squash can benefit from being stored in your pantry (cool, dry, dark) for a few weeks. Curious? Read more, this NPR story is just fascinating! Sounds like the grocery clerk was barely warm. You're punny, I mean funny, Kevin, although he IS really helpful. And when I tell this story, it always takes people a minute to think, hmm, what IS tepid water?!! Tonight this will be on the menu in Port Hope Ontario. I reaaly enjoy these main ingredients so I know it will be a hit with me and a few friends!!! That's a good one, Alanna. Sort of sad, but understandable. I mean, how often do we use the word "tepid" in conversation? I'm always looking for more good ways to use quinoa -- this recipe looks excellent. Can't wait to try it! I keep collecting ideas for Thanksgiving...there's no way I can make them all at this point, but this is on the list of possibilities!